Loulak was founded on the premise that Nigeria offers a unique investment case for oil and gas exploration and production companies. Large areas of underexplored fields are available for exploration. Nigeria's Marginal Fields Policy offers globally competitive fiscal terms and stability. As one of the world's fastest growing economies with a huge demand for energy, the market for monetisation of future hydrocarbon discoveries is easily accessible. Loulak targets lower risk under-exploited fields with proven hydrocarbon located onshore and offshore Niger Delta, Nigeria. This strategy takes advantage of opportunities that can be unlocked and value quickly created through early development and production. Our areas of expertise include the value creation phase of commercial deal delivery, maturation of exploration and appraisal opportunities, from field development, project execution and realising first production, on to the value monetisation phase of integrated operations and maintenance, hydrocarbon fiscalisation, and sales. Corporate governance and sound business principles represent part of our company's sustainable foundation. LOULAK aspires to be the leading Nigerian indigenous integrated execution vehicle, focused on developing and operating a portfolio of upstream oil and gas assets. 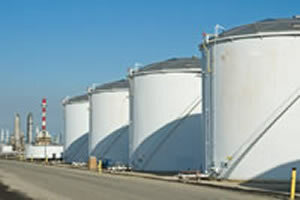 With a management team that has a track record of commercialising and operating upstream oil and gas assets globally and in Nigeria, and supported by a Board of Directors with sound business knowledge and credible international profile, the company is poised to deliver material value of about 25,000 barrels of oil-equivalent per day within five years.